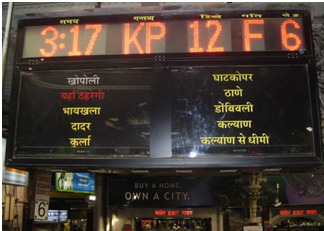 Train Indication Boards (282 nos) have been provided at 75 stations to display Arrival & departure position of Trains. 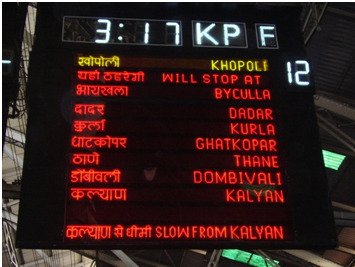 All are modified to display 5 digit Train numbers. 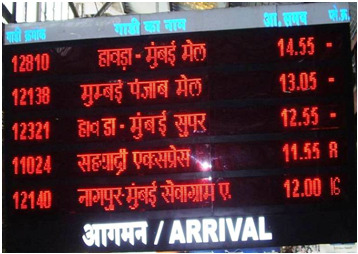 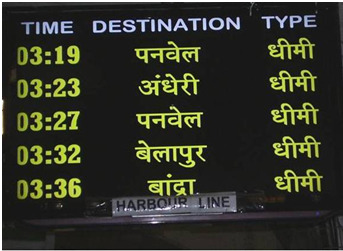 Suburban Train Indicators at 19 stations in Mumbai division have been replaced with Graphical type display boards (317 nos) showing full name of destination & halting stations. 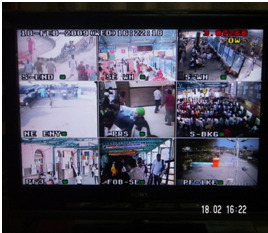 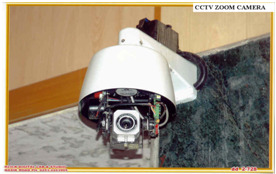 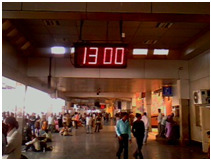 Advance Train Indicator system : Provided at various stations on Suburban Stations giving details of following suburban trains. 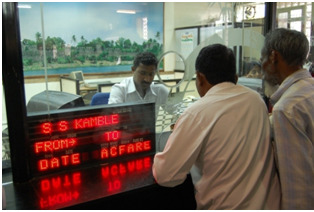 Total 2484 Nos. 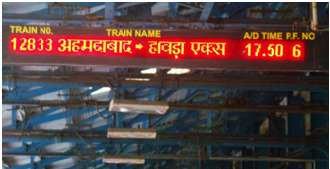 Coach indicator Boards have been provided at 75 station of C.Rly. 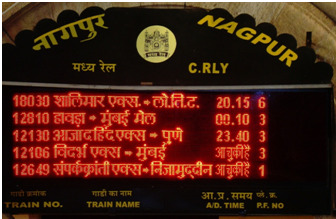 All are modified to display 5 digit train Nos. 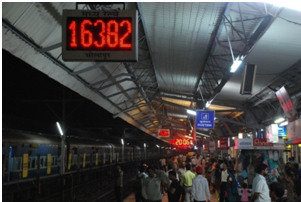 75 GPS based Digital clocks showing correct and accurate time have been commissioned at 49 stations in Pune division.